Adding Your Images ; Just Click the icon of placeholder or Drag your image and Drop into placeholder. 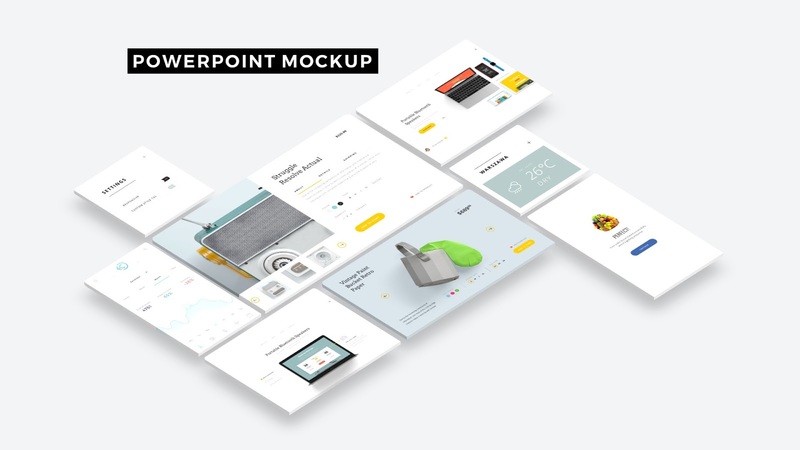 Showcase Your Web and App UI Designs or Elements in Style with PowerPoint Templates. This is not Web and App UI Design Elements. First Create your web and app design images to replace the sample images. Your Prototyping Design Images will be transformed Perspective in PowerPoint Templates, automatically. You can take various presentation effects using this PowerPoint Screen Mockup Template. Such as, 3D Rotation, 3D Depth, Shadow effects. You can change the Background Colors.